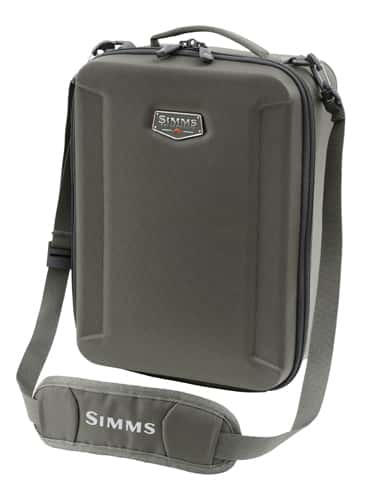 Simms Bounty Hunter Case-LG features padded, configurable dividers for keeping 8 to 10 reels at the ready and protected. The compression-molded exterior bucks abuse while in transit. Multiple zippered mesh pockets and sleeves keep leaders and lines organized. And a removable divider shields reel tops during transfer. Built from bomber 1680D dobby ballistic fabric with a water-shedding DWR finish.